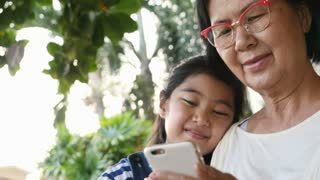 Little Asian girl using smart phone with her grandmother, Happy family concept, Slow motion shot. 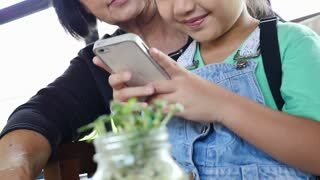 Little Asian girl using smart phone with her grandmother, Happy family concept, Pan shot. 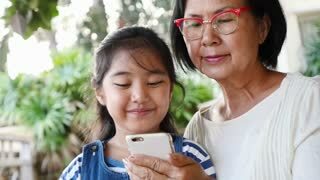 Little Asian girl using smart phone with her grandmother, Happy family concept, Slow motion with pan shot.